This series consists of material created by various societies, companies, railways, unions and government branches for the use and instruction of railway companies and employees. 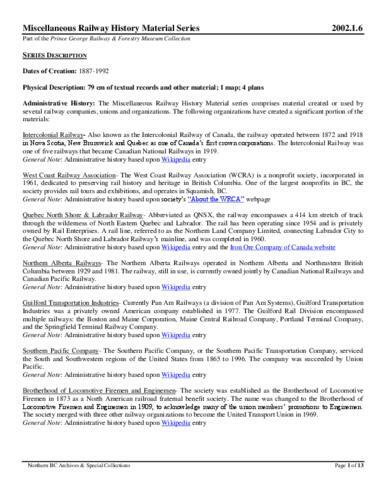 Includes publications, time tables, training materials, union materials, forms, maps and plans related to rail operations in North and South America, but predominately related to Canadian railway operations. Also comprises material created by several American and Canadian railways and transportation companies.